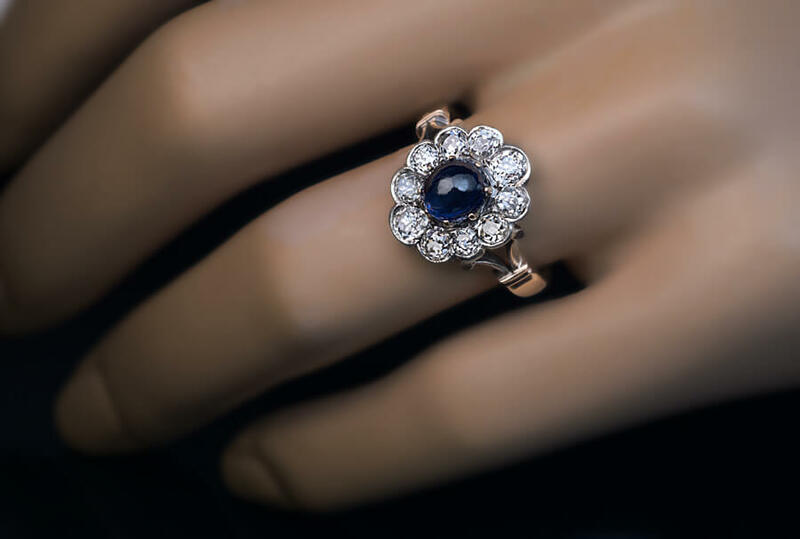 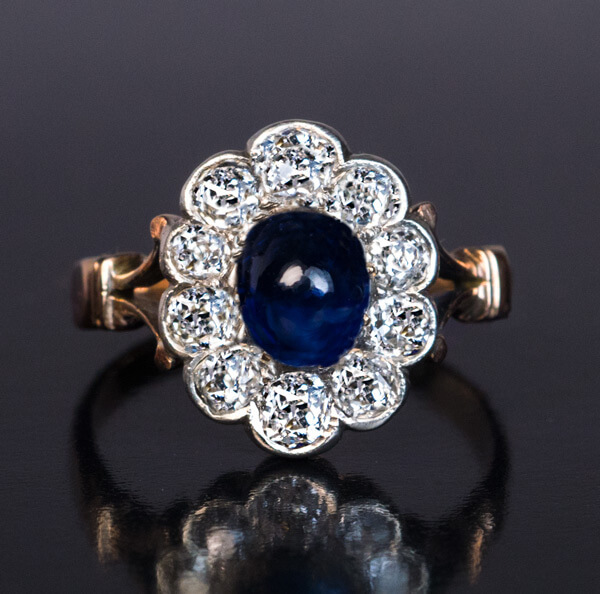 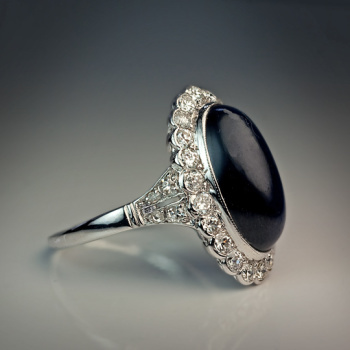 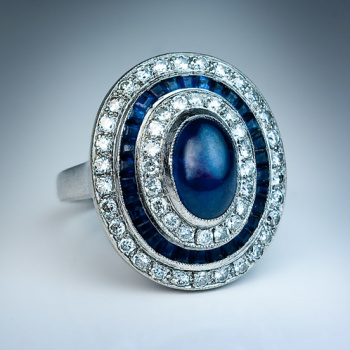 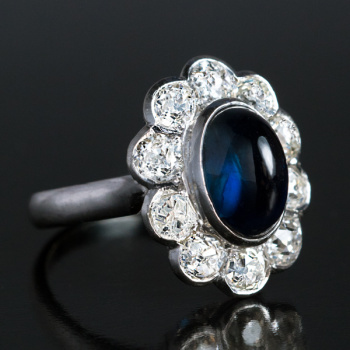 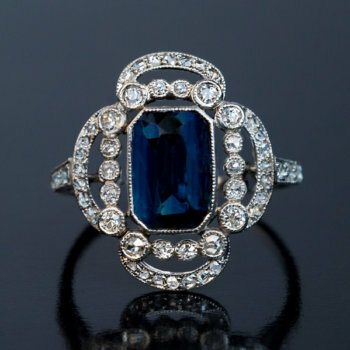 A silver topped 14K gold ring is centered with a cabochon cut blue sapphire (6.2 x 5.95 x 4.2 mm, approximately 1.67 ct) surrounded by 10 old mine cut diamonds. 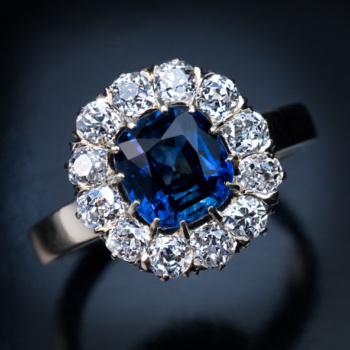 Estimated total diamond weight 1.50 ct. 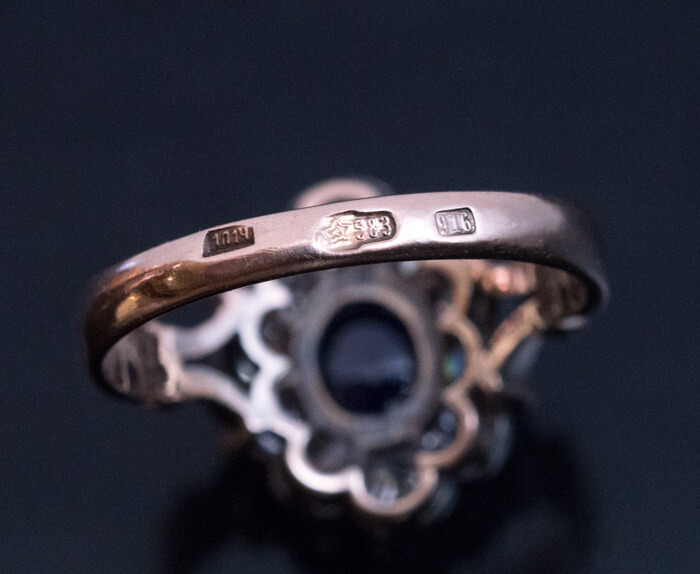 Marked with later Soviet control marks for 583 gold and 916 silver standards.